Featuring an unmatched combination of sophisticated design and exceptional sound the Bose sound bar 700 brings the full power of all your entertainment to life. Customized drivers pump out clear, spacious sound and rich bass that breathe New life into everything from aliens invasions and car chases to house-rocking playlists. Plus, ADAPTiQ audio room calibration optimizes the sound bar’s acoustic performance to the unique characteristics of your room – giving you the best possible listening experience. 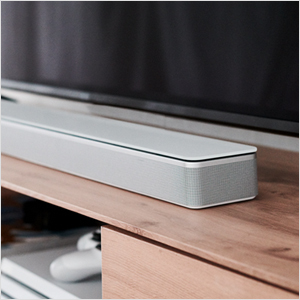 Plus, a tempered glass top, wraparound metal grille, and clean lines, make the sound bar look as good as it sounds. With Alexa built in, you can control your music, get information, access smart home control, and more. Just behind the grille is a custom-designed eight-microphone array for superior voice pickup, so Alexa will still hear you, even when the music is playing loud. 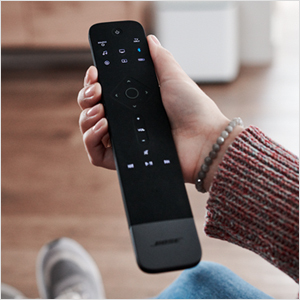 Use the Bose music app to control all of your music and the Bose sound bar universal remote to manage all of your entertainment. Plus, with Bluetooth and Wi-Fi technology, you can play what you want, wherever you want, from any device in your home. 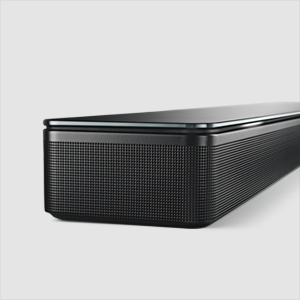 The Bose sound bar 700 is Part of a family of Bose smart speakers and sound bars designed to be compatible with each other so you can enjoy more music in more rooms. And when you want to dial up the performance of your sound bar, just add the optional Bose bass module 700 and Bose surround speakers at any time for thunderous bass and full-on surround sound. Leave the sound bar on the TV stand or mount it on the wall using the optional Bose sound bar wall bracket. Included: Bose sound bar 700, Bose sound bar universal remote, batteries, power cord, HDMI cable and optical cable are included with purchase. Available in Black or white. Whether it’s for movies, music, games, or TV, you want the kind of sound that makes everything you listen to or watch even better. The kind of sound that gives you goosebumps. That’s why Bose set out to design the world’s better soundbar. The Bose Soundbar 700 is a slim, stylish, and powerful soundbar packed with technologies that bring every thrilling moment of your entertainment to life. And with Alexa built in, all your favorite music is at the tip of your tongue. Custom drivers pump out clear, spacious sound and rich bass that bring new depth, clarity, and emotion to everything from alien invasions and car chases to house-rocking playlists. QuietPort technology ensures virtually distortion-free bass. And ADAPTiQ audio calibration optimizes the soundbar’s acoustic performance to your room – giving you the better possible listening experience. 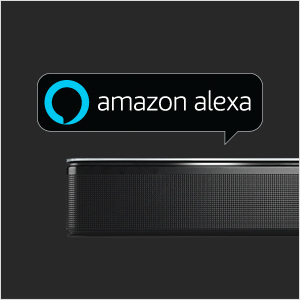 With Alexa built in, you’ll have millions of songs, weather forecasts, and news reports at the tip of your tongue. Alexa will still hear you when the music is playing loud, thanks to a custom-designed eight-microphone array. You’ll know because a light bar helps indicate when Alexa is thinking, listening, or speaking. You can turn off voice access, too. Just tap the mic-disable button. When it comes to what you want to hear, you have so many options. With both bluetooth and WiFi compatibility, play your favorite music services, like Saavn or Amazon music, at the touch of a button. 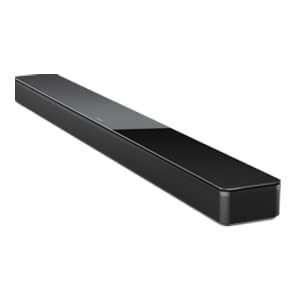 Use the included Bose Soundbar Universal Remote to control all your entertainment in one place. The remote lights up only the buttons you need in the moment. It also features six presets to help you find your favorites even faster. 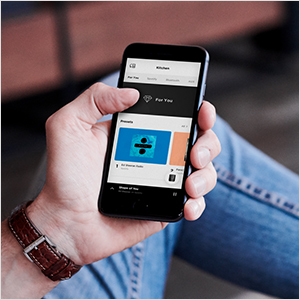 Or you can use the Bose Music app to easily browse through all your music in one place and seamlessly jump between stations, playlists, and services. For those times when you want to kick up the performance even more, try adding the Bose Bass Module 700 and Bose Surround Speakers for thunderous bass and true surround sound. 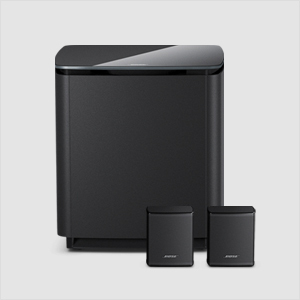 Plus the Bose Soundbar 700 is part of a new Bose family of smart speakers and soundbars designed to be compatible with each other, so you can enjoy more music in more rooms. With a simple setup, you can get to the fun part, faster. The Bose Music app makes it easy to set up your soundbar, walking you through each step. Leave your soundbar on the TV stand, or use the optional Bose Soundbar Wall Bracket to mount it elegantly on the wall. Either way, it’s pleasing to the eye and ear.